As part of our ongoing "Getting to Know Your Local Businesses" series, this week we sat down with Paul Johnson, owner and president of Reliant Safety Solutions, LLC. Established in July 2015, Reliant Safety Solutions (RSS) has been helping companies and organizations to reduce safety incidents, mitigate risk and provide solutions to protect human lives and safeguard business viability. RSS offers comprehensive health, safety, and environmental programs; we provide knowledgeable and reliable safety support to companies and organizations that trust us to step in and, without delay, get to work keeping their most vital resources safe on the job without downtime. 24 hours a day, seven days a week, RSS provides onsite safety staffing, audits and inspections, construction and oil & gas safety training and onsite medical services. RSS works dynamically to meet a wide variety of client safety needs, all designed to reduce risks and save lives. As a third-generation iron worker, I started working for Herrick Corp, a structural steel company, in California out of Local 377 in 1994. In 2005, I started teaching for the apprenticeship school for Local 377 and 378 on the weekends, conducting safety training for new iron workers that wanted to get into a trade. In 2007, I relocated to Texas where I was hired as a safety manager for a local construction company here in Houston. In January 2012, I became a safety consultant for Kuwait Oil. I lived in the Middle East for a year and I even learned the local dialect. After my contract was completed, I returned back home to Houston to work for an oil & gas engineering firm. At the firm, I was a risk manager and was given the great opportunity to expand the business into other areas such as oil & gas safety training, program development, risk assessments and much more. In 2015, I started my safety training services business, RSS, here in Kingwood. In addition to working with clients in Houston, Austin, Dallas, San Antonio and other Texas cities, RSS branched out to Las Vegas in May 2018 to meet client demands in that market. Tell us a couple things you are proud of about your businesses. What are you known for? What separates you from the competition? I am very proud of our highly skilled team of industry safety consulting professionals. We have more than 50 years of combined industry experience and we are always ready to mitigate multiple risks in any construction, industrial, and oil & gas work environment. Certified as both a Minority and Small Business Enterprise by the City of Houston, RSS has also won numerous awards over the years, including the honor of receiving the Associated General Contractors (AGC) Safety Stand Down Participation Award multiple times, receiving The Ray Lambright Excellence in Safety Award in 2016 and being recognized as the AGC Safety Director of the Year in 2017. In 2018, we had another banner year when our company was honored with the AGC Safety Excellence Award, along with the Texas Building Branch Safety Excellence Award and the AGC Safety Vendor of the Year Houston Award. 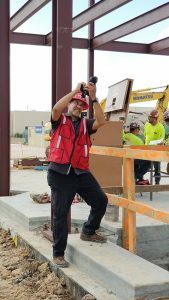 For the past two years, we have also been conducting safety training at Houston Community College (HCC) for students including Forklift and Scaffold training. I am very proud that we continually develop and implement new innovative ideas for safety training. Our instruction is hands-on and technology driven. For example, RSS just fabricated a fall protection drop test simulator out of our company vehicle … where students experience a simulation of what it’s like to fall in their harness with different attachments and the forces that it generates on their body during a fall. The vehicle is also equipped with a 65” TV monitor for training in the field on construction projects that don’t have classrooms available. My team and I have seen workers get hurt or worse, not survive. We have seen how these incidents change a family forever. We educate to save lives. It is the core belief of RSS that adapting to constant changes and the pursuit of life-long learning are the keys to success and sustainability. Any company that wants to reduce workplace injuries and identify, prevent and control exposure to safety hazards is our ideal customer. We serve companies that want to make a difference with their employees and want to change or enhance their safety culture. Throughout the year, we periodically offer free first aid/CPR/AED/BBP classes, rigging, OSHA 10 and 30-hour classes at our training facility. We also offer free safety training for workers who are unemployed and need a safety class to get a job. Our training classes and videos feature real people safely doing their jobs. Produced to align with today’s video standards, RSS creates custom safety videos in-house that captures the employee’s attention and meet today’s industry safety practices and standards. We produce modular-based videos that can be easily updated when needs, messages or content changes. In addition, our office location has spacious rooms, adjustable classrooms, and comfortable conference rooms that are available for rent for business meetings, training or company orientations. Rental includes video conferencing, phone and Internet services and any other business services that may be needed. To learn more about our custom and standard training solutions and industry events, visit our website. To contact our safety experts, find out about upcoming training classes and view informative videos about our training services, visit our Facebook page. Beginning this summer, RSS will offer online safety training classes, giving our clients another way to achieve or supplement their training goals and needs. We are also in the process of being approved by the International Association for Continuing Education and Training (IACET). 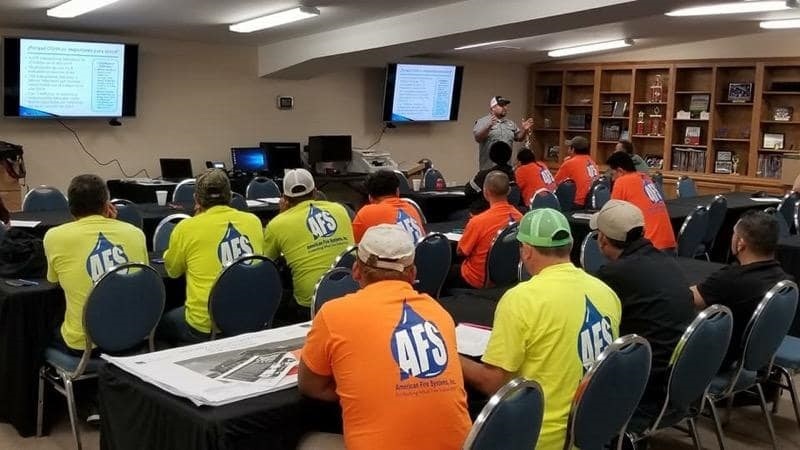 With this global accreditation, RSS will award continuing education (CEU’s) credits for all of our training classes, further recognizing our training and our Kingwood training facility as an industry leader. To learn more about Reliant Safety Solutions, visit our profile at NewCaney.com.